During Le Guess Who? 2018, VPRO Vrije Geluiden recorded a two-part television special featuring studio sessions with festival artists. The first part featured performances by Sibusile Xaba, Vera Sola and Ill Considered, as well as live recordings from the festival shows of Anoushka Shankar and Neneh Cherry. You can rewatch the complete episode here. South-Africa’s Sibusile Xaba creates a wonderful blend of African folk, flamenco and jazz. Supported by expressive fingerpicking and hushed jazz chords, Xaba sings in Zulu with full commitment. Xaba played 'Sibongile' and 'Inkululeko' and talked to Vrije geluiden about the way he uses his guitar and his voice, and his latest album 'Open Letter To Adoniah', which Xaba wrote in honor of his daughter. You can watch the interview here. Vera Sola is a New York-based vocalist, poet and multi-instrumentalist. 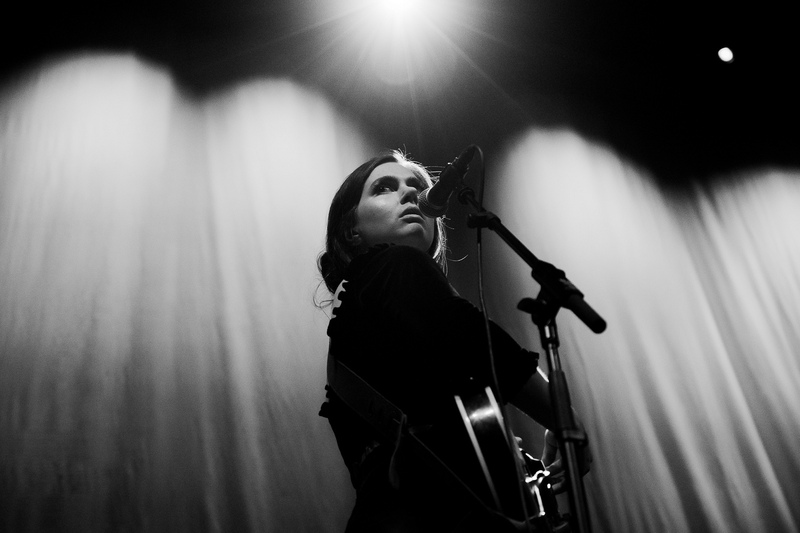 Her solo work can best be described as a theatrical and orchestral version of Americana, featuring her dark, visceral lyrics and haunting vocals. Sola played two songs of her recently released album 'Shades': 'The Colony' and 'Small Minds', as well as her Misfits cover 'Skulls'. Watch her conversation about The Misfits as an inspiration, working with Elvis Perkins and becoming a solo artist here. Ill Considered is a band bewildered by its own immediate, outrageously energetic chemistry, a tryst in rollicking percussion, smooth sax flourishes and nimble bass grooves, finger-licking good in its execution. For the broadcast, they performed three improvised pieces, including one entitled 'Sunday Morning'. You can also watch the interview with drummer Emre Ramazanoglu. On Sunday 25 November, at 10:30 CET, VPRO Vrije Geluiden will broadcast the second part of their LGW18 special on Dutch television channel NPO1. It will include performances of Rodrigo Amarante, Circuit des Yeux, Takuro Kikuchi, Beverly Glenn-Copeland and Maria Chavez.